Heading into today’s trade deadline, things were shaping up to be fairly tame around the league. But trade deadings were anything but timid this afternoon as the action was fast and frantic just before the 4pm deadline. 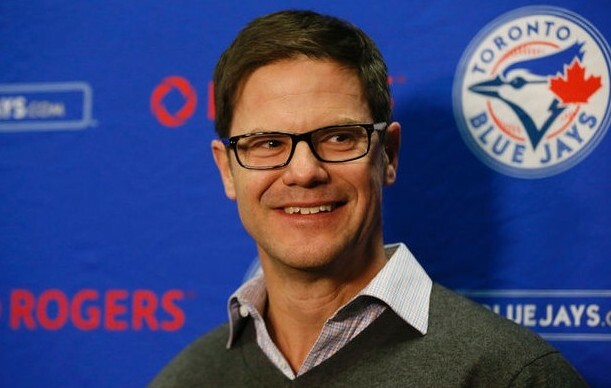 The Toronto Blue Jays even pulled off a few moves of their own, officially acquiring Scott Feldman from the Houston Astros for prospect Gaudalupe Chavez and Mike Bolsinger from the Los Angeles Dodger for Jesse Chavez. Just a few quick thoughts on these deals for the Blue Jays. Although they’re two separate transactions, it’s essentially replacing Jesse Chavez with Scott Feldman. Mike Bolsinger is merely a depth move for the Blue Jays, as he’s already been assigned to the Buffalo Bisons. Both Feldman and Chavez are free agents at season’s end and both have very similar payroll commitments the remainder of the season. With Scott Feldman, the Blue Jays receive an upgrade in the bullpen, and the potential for Feldman to make the odd spot start. Scott Feldman is essentially the player the Blue Jays had hoped Jesse Chavez was supposed to be for them this season. I really like the acquisition of Feldman for the Blue Jays, as he’s a versatile pitcher and it allows the Blue Jays to use him in relief or the starting rotation, if need be. Not to mention, he has the lowest average exit velocity of all pitchers in MLB right now at 85.3 MPH. Even if batters make contact off Scott Feldman, they tend not to hit him very hard. This is great news for a pitcher now throwing in a hitter-friendly ballpark and with a stellar defense playing behind him. Feldman was used predominantly as a starter since the 2008 season, but the Houston Astros opted to use him out of the bullpen since the beginning of May. Since that move, Feldman owns a tidy 2.35 ERA and has only surrendered 2 walks in 21 games out the bullpen. The Jesse Chavez for Mike Bolsinger deal isn’t much to look at. Evidently, the Blue Jays were on the verge of designating Chavez for assignment, and they received a starting depth piece in return for Chavez rather than nothing that all. It’s a very similar situation to that of Drew Storen for Joaquin Benoit, except the piece in return for Chavez is a starter, and a triple-A quality starter at that. It sounds like we shouldn’t expect Bolsinger to make an impact on the big league roster, but he could be called up later in the season as a roster reinforcement. The Blue Jays didn’t address their apparent need for starting pitching with either of these transactions, but they did slightly improve the middle-relief portion of the bullpen; which has killed the Blue Jays this season.